Monitoring of forest cover and forest functions provides information necessary to support policies and decisions to conserve, protect and sustainably manage forests. Especially in the tropics where forests are declining at a rapid rate, national forest monitoring systems capable of reliably estimating forest cover, forest cover change and carbon stock change are of vital importance. As a large number of tropical countries had limited capacity in the past to implement such a system, capacity building efforts are now ongoing to strengthen the technical and political skillsets necessary to implement national forest monitoring at institutional levels. 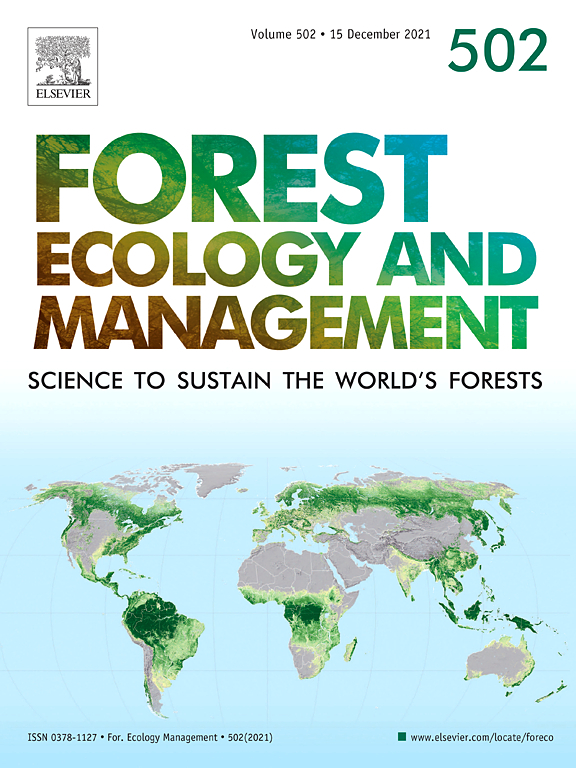 This paper assesses the current status and recent changes in national forest monitoring and reporting capacities in 99 tropical countries, using the Food and Agriculture Organization of the United Nations (FAO) Forest Resources Assessment (FRA) 2015 data, complemented with FRA 2010 and FRA 2005 data. Three indicators “Forest area change monitoring and remote sensing capacities”, “Forest inventory capacities” and “Carbon pool reporting capacities” were used to assess the countries capacities for the years 2005, 2010 and 2015 and the change in capacities between 2005-2010 and 2010-2015. Forest area change monitoring and remote sensing capacities improved considerably between 2005 and 2015. The total tropical forest area that is monitored with good to very good forest area change monitoring and remote sensing capacities increased from 69% in 2005 to 83% in 2015. This corresponds to 1435 million ha in 2005 and 1699 million ha in 2015. This effect is related to more free and open remote sensing data and availability of techniques to improve forest area change monitoring. The total tropical forest area that is monitored with good to very good forest inventory capacities increased from 38% in 2005 to 66% in 2015. This corresponds to 785 million ha in 2005 and 1350 million ha in 2015. Carbon pool reporting capacities did not show as much improvement and the majority of countries still report at Tier 1 level. This indicates the need for greater emphasis on producing accurate emission factors at Tier 2 or Tier 3 level and improved greenhouse gases reporting. It is further shown that there was a positive adjustment in the net change in forest area where countries with lower capacities in the past had the tendency to overestimate the area of forest loss. The results emphasized the effectiveness of capacity building programmes (such as those by FAO and REDD+ readiness) but also the need for continued capacity development efforts. It is important for countries to maintain their forest monitoring system and update their inventories on a regular basis. This will further improve accuracy and reliability of data and information on forest resources and will provide countries with the necessary input to refine policies and decisions and to further improve forest management.